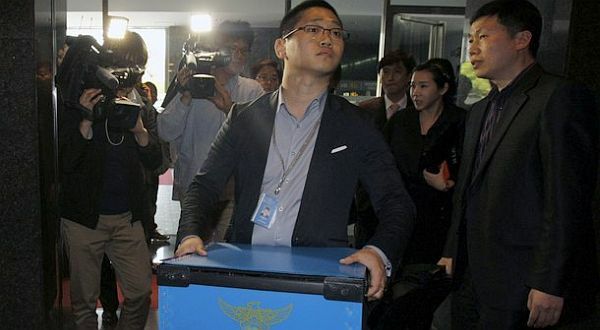 Google South Korean police raided offices ~ " World Information "
SEOUL - Police in South Korea (ROK) 'invade' Seoul office of Google Inc. in the United States after the Internet giant is suspected of taking the user's location data illegally through the AdMob mobile advertising. The information was considered crucial to the sector of mobile advertising to personalized ads on the Internet based on individual preferences and location. But South Korean police worried about the misuse of personal data of users, following the increased use of tablet PCs and smart mobile phones. "We suspect AdMob has collected personal location information without the knowledge or consent of the Korea Communications Commission," said one policeman was quoted as saying by Reuters on Wednesday (04/05/2011). Not just Google, police also reportedly searched the office of local portal Daum Communications on similar charges. Just as Apple is doing the collection of location data through the iPhone, Google has come under fire from a user or law enforcement in some countries. Related to this, professor of computer science for the Korea Advanced Institute of Science and Technology Kim Kwang-jo convey a bit of advice. "Every technology has both positive and negative. Profitable location-based service users because it can help them find restaurants, gas stations or other locations nearby over the phone," said Kwang-jo. "But the service was also at risk of violating the privacy of consumers. Still there are 'holes' in the location-based services. The company must get permission from customers to collect location data," he concluded.